The historical basis of the ISI’s confidence flows from the fact that both the US and China used Pakistan for creating the Taliban and Al Qaeda and the US gave Pakistani regulars and Taliban safe exit from Afghanistan during the US invasion. Proxies of Pakistan continue to be used in the Great Game. That is why Mussharaf confidently says, “Osama-bin-Laden, Ayman-al-Zhaveri, Haqqanis are our heroes ….. We trained the LeT against India”. …the Haqqani Network based in Pakistan past 30 years itself is Al Qaeda, as acknowledged by US scholars and being used not only as a crucial anti-India asset in Afghanistan but also against US and Afghan security forces. When Asim Umar was appointed the AQIS South Asia head by Al Qaeda chief Ayman al-Zawahiri in September 2014, it not only denoted the Pakistani connection, it obviously was on the recommendation and behest of Pakistan’s ISI. After all the finesses with which Osama bin-Laden was kept in a safe house for years in Abbotabad right under the noses of US-NATO forces searching for him in Afghanistan, was well-planned investment for future dividend. It is unclear if the CIA was aware of Osama’s whereabouts but Benazir Bhutto from abroad had certainly given a broad hint by saying Osama bin-Laden was perhaps in Musharraf’s backyard. But then the Haqqani Network based in Pakistan past 30 years itself is Al Qaeda, as acknowledged by US scholars and being used not only as a crucial anti-India asset in Afghanistan but also against US and Afghan security forces. Getting back to Asim Umar, his birthplace remains a mystery, some suggesting Uttar Pradesh in India where he attended the Darul Uloom Deoband seminary before migrating to Pakistan in 1990s. In Pakistan, he studied at the Jamia-ul-Islamia in Karachi and later at the Darul Uloom Haqqani in Khyber Pakhtunwala (KPK). Darul Uloom Haqqani is also known as the ‘University of Jihad’ where notorious radicals like Mullah Mansour Akhtar and Sirajuddin Haqqani have been past alumni. 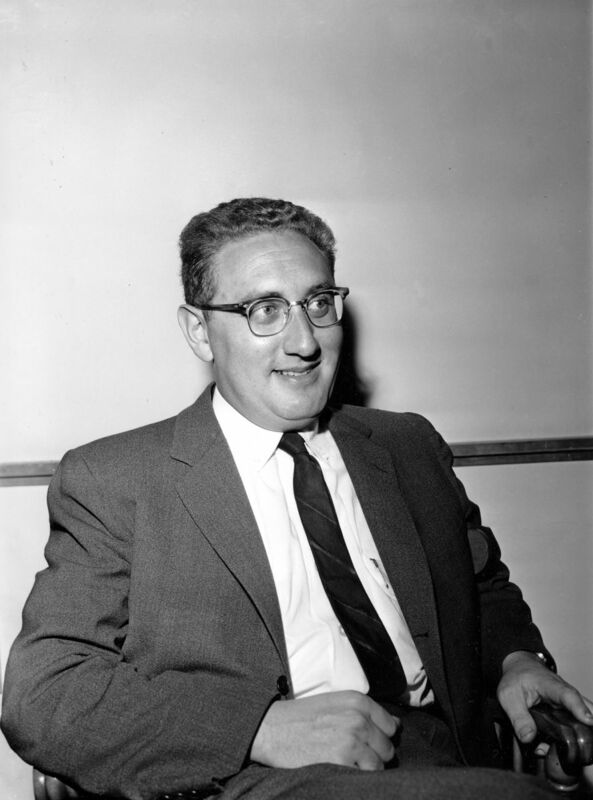 In the summer of 1957, Henry A. Kissinger, a Harvard faculty member, was featured in a front-page Times story that examined the idea that, with a new generation of smaller, more transportable atomic weapons, a “limited” or “little” nuclear war was not as outlandish as it sounded. Kissinger had just published a book called “Nuclear Weapons and Foreign Policy,” which he then adapted, in the form of an article, for the quarterly Foreign Affairs; a year later, the young Kissinger—he was thirty-four years old then—appeared on “The Mike Wallace Interview,” and his long march to fame and influence had begun. The modernization of China’s land-based nuclear-capable missile force has progressed significantly over the past year, with Beijing fielding a new version of an existing nuclear missile and a new dual-capable missile. The country has also reorganized its nuclear missile command structure. The authors estimate that, in total, China has a stockpile of approximately 260 nuclear warheads for delivery by nearly 150 land-based ballistic missiles, 48 sea-based ballistic missiles, and bombers. The Chinese intercontinental ballistic missile (ICBM) force will probably continue to grow slowly, such that the number of ICBM warheads primarily targeted against the United States may exceed 100 a decade from now. Although there is no sign that the Chinese government has officially diverted from its no-first-use nuclear policy, its modernization program is adding significant new capabilities. These qualitative improvements may in turn alter Chinese nuclear policy and strategy. Andrew Futter is a Senior Lecturer in International Politics at the University of Leicester, UK. Last month the General Accountability Office announced that parts of the command and control system used to manage US nuclear weapons rely on eight-inch floppy disks, an IBM Series/1 computer, and other hardware that is more than 50 years old. So old in fact that many parts for these systems have long since ceased to be manufactured or stocked. Although the Strategic Automated Command and Control System (or SACCS)—which is used, in part, to send and receive Emergency Action Messages to nuclear weapons systems and their operators—is not the only so-called legacy system in use across the US government, it is without doubt the one that would create the most severe consequences, should it go wrong. That this system has not been fundamentally overhauled since the 1960s, while billions of dollars have been spent on a wide variety of new nuclear weapons and delivery platforms, also raises serious concerns that the system would work as expected, if and when it was ever required. To be sure, the nuclear command and control apparatus is now undergoing a comprehensive upgrade; legacy systems and out-of-date technologies are being retired and replaced with the latest digital hardware and software. Floppy disks, primarily associated with the communications aspect of nuclear command and control, are due to be replaced with secure digital cards by the end of 2017, and the whole modernization plan is scheduled for completion by 2020. The stated aim is to take advantage of the considerable benefits offered by high-speed networking, processing power, and net-centric interoperability. This infrastructure refurbishment will also allow for the development of a full spectrum of integrated strategic missions, involving not just different nuclear attack plans, but also military operations that incorporate new conventional prompt-strike technologies, cyber capabilities, and ballistic missile defense. Photojournalist David Gilkey and I traveled to Afghanistan many times. In our trip to eastern Afghanistan last year, we found an Afghan army willing to fight, but it was taking heavy casualties and still in need of considerable help. We wanted to find out what, if anything, was changing in a war America has largely forgotten since most U.S. forces left at the end of 2014. What my colleagues and I encountered was both a horrifying personal tragedy and a microcosm of the larger war in Afghanistan. To sum it up, the war is not going well. The Taliban are still strong in parts of the south and east. And the Afghan army, while improving, still needs a lot of help from the Americans. One of the top U.S. trainers, Col. John Kline, said if the American troops stopped advising the Afghans in Helmand, it would be a struggle for them to do the job. Although reports indicate an improvement in its overall security, Balochistan remains the most fragile province in contemporary Pakistan. This brief examines both the efficacy and motivations behind the state’s recent actions to end persistent conflict in the province. The province of Balochistan is riven by multiple cyclical conflicts and is the most fragile in Pakistan. The complicity of politicians, government officials, and security personnel in criminal activity has created a nexus among criminality, militancy, and terrorism. With significant new Chinese investment on the horizon, a tentative but notable shift in state attitudes toward criminality and conflict has occurred. The operational capacity of sectarian militant groups has been degraded, and unprecedented initial steps have been taken to address paramilitary corruption. However, policy realignments continue to be determined primarily by Pakistan’s military establishment in light of its strategic priorities. Political negotiations between the state and Baloch nationalist groups have stalled. While the overall security situation has improved, the rights and needs of Balochistan’s people, and the underlying fault lines that trigger conflict, remain unaddressed. Fragility is borne from a combination of economic, political, institutional, and societal factors (often self- and mutually reinforcing) and is characterized by (1) a high level of insecurity and continuing violence, organized violence, and conflict; (2) weak institutions; and (3) poor governance or the lack of equitable delivery and distribution of public goods and services. The circular nature of the defining factors lies at the “heart of the concept of the fragility trap.”1 Perhaps the most definitive aspect of fragility—and one that links it to conflict—is institutional weakness or lack of political and performance legitimacy. The developments in India’s immediate neighbourhood over the past decade have led India to take a close look at her foreign and security policies. There is a widely sensed need for the rapid modernisation of the Indian armed forces, which is being reflected in some of the key initiatives that have been taken up by the Indian government so far (such as Make in India), so as to address to the complex security challenges that emanate from its hostile neighbourhood. Indigenous development of modern defence hardware continues to remain a concern and Indian policy aspiration for defence self-sufficiency remains largely elusive. However, the pace of modernisation of the Indian armed forces over the years has been rather slow, and technologically, they are not where they should have been. Indigenous development of modern defence hardware continues to remain a concern and Indian policy aspiration for defence self-sufficiency remains largely elusive. The aim of the research is to highlight how the Indian armed forces are responding to the emerging security scenario in the region and beyond, and to address issues in defence policy making, progress with defence modernisation, and military effectiveness. 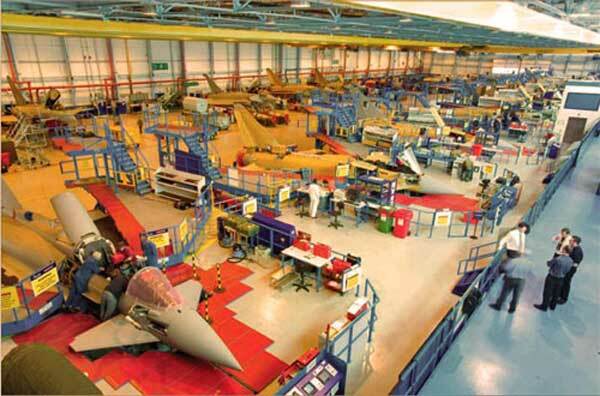 The Indian defence industry suffers from major policy, structural, and cultural challenges that beset a military industrial complex that continues to struggle in terms of delivering modern defence hardware that could have added to the greater Indian defence indigenisation and production. Experts see a number of systemic flaws in the Indian defence establishment and civil-military relations, which present major challenges for India’s military modernisation aspirations. As India’s defence requirements are likely to increase in the foreseeable future because of the dynamic security environment, indigenous development of modern defence hardware and technology is likely to remain a top priority. Bengaluru: Nobel Prize-winning economist Joseph Stiglitz has a blunt message for Prime Minster Narendra Modi: India has an image problem after the government’s clampdown on non-governmental organizations (NGOs) and its actions against students of Jawaharlal Nehru University (JNU). “Some issues have got a lot of public attention around the world and are a great deal of concern. One of the big concerns is the difficulties for NGOs to operate in India. It puts India in the same group of countries as Egypt and Russia, and that is not the group of countries that you want to be in,” Stiglitz said in Bengaluru on Wednesday. Sitglitz was in the city to deliver a talk on Global Inequality: Causes and Consequences with economist Branko Milanovic. The United Kingdom feared an India-Pakistan nuclear war in the wake of the terror attack on the Indian Parliament in 2001 and tried to "persuade and cajole" the two countries to pull back from a military confrontation, according to evidence presented to an inquiry into the 2003 Iraq war made public on Wednesday. 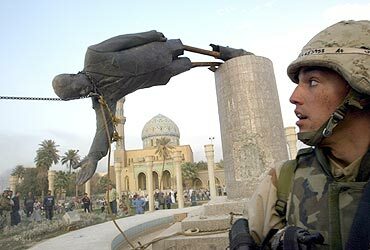 The then UK foreign secretary Jack Straw made the revelations during his depositions before the Chilcot Inquiry, which declared today that the Iraq invasion in 2003 had been based on "flawed intelligence". In an attempt to highlight other pressing matters at the time, Straw said he had been preoccupied with the India-Pakistan issue on an "hour by hour" basis which formed the grounds for his close relationship with his US counterpart at the time Colin Powell. In a memo to the inquiry committee dating back to January 2010 Straw said, "Immediately after 9/11 the foreign policy priority for the UK was Afghanistan. Towards the close of the year, following the terrorist attack on the Indian Parliament on December 13, 2001, the possibility -- verging it appeared at times on the probability -- of a military engagement between India and Pakistan became an added preoccupation for the UK government and the US. 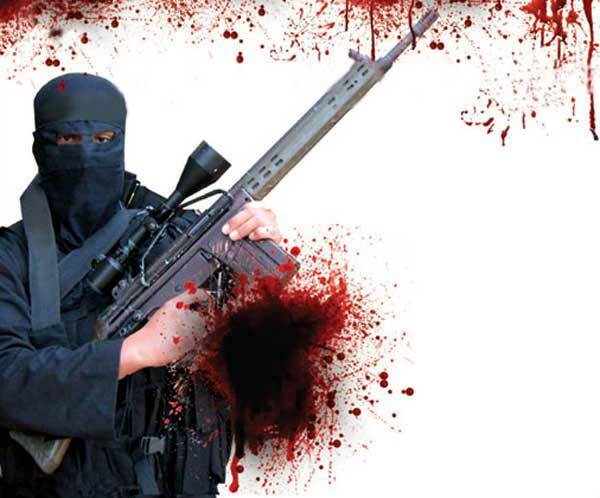 The attack on Parliament in New Delhi by lashkar-e-Tayiba and Jaish-e-Mohammad militants killed 9 people. Last Friday’s (1 July 2016) terror strike in Dhaka has thrown up a couple of important lessons not only for Bangladesh but India as well. While it has come as a shock to many that at least four of the terrorists hailed from well-to-do families and studied in elite schools, what cannot be ignored is that their families had reported to the police that they were missing over the last three to six months. But no efforts were made to trace them. Also, their families now say that there were some signs of their radicalisation. The father of one of the young men, Meer Mubasher, told the media that his son had stopped sketching and playing the guitar a few months before he disappeared, saying that those were un-Islamic. The others also had displayed signs of their radicalisation. Had the police and intelligence agencies in Bangladesh investigated the sudden disappearances of the four youngsters, the terror plot could perhaps have been uncovered. It would not have been a tough task to monitor the disappearances. Some of the young men, according to some reports, had travelled abroad in the recent past to get indoctrinated and perhaps even for arms training. They would have used their passports and, had look-out notices been issued against them after they were reported missing by their families, they could have been easily apprehended. Bangladesh: Islamist Militancy, Democracy Deficit and Where to Next? On the water, a series of near-incidents have further added to the tensions. On May 10, a U.S. destroyer sailed close by a Chinese artificial island in the South China Sea. China responded by sending three combatant vessels and two fighter planes to ward off the U.S. ship. In June, U.S. authorities accused the Chinese of conducting a dangerous, high-speed intercept of a U.S. reconnaissance airplane operating in the South China Sea. The maritime tensions stand out as the most prominent of a set of disputes between China and the United States. The two countries continue to argue over cyber espionage, trade and U.S. alliance activities in the Asia-Pacific, among other topics. Underpinning these various issues lays an intensifying strategic competition, driven largely by the rapid gains in Chinese national power relative to the United States. Although its growth is slowing, China's economy will very likely continue to expand at a higher rate than that of the United States, which could result in greater parity in GDP (PDF) between the two countries. China's military, while still inferior, has considerably reduced the gap in capability, especially in potential contingencies along its maritime border. Further investments could narrow the divide even more in coming years. Contrary to popular belief, U.S.-China maritime cooperation has more potential than ever. To many observers, China and the United States appear to be irreconcilably butting heads in the maritime domain, especially in the South China Sea. This was recently illustrated at the 2016 Shangri-la Dialogue in Singapore when China’s representative, Admiral Sun Jianguo, the Deputy Chief of the Joint Staff, and the U.S. representative, Secretary of Defense Ashton Carter, provided vastly different portrayals of what was needed to promote stability and security in the South China Sea. Differences are also likely to surface in the upcoming weeks as The Hague-based Permanent Court of Arbitration renders its verdict on the case between China and the Philippines. Despite these recent differences between the two countries, it may come as a surprise to learn that the maritime arena holds the most promise for China and the United States to cooperate. Compared to other strategic domains in which the two major powers interact, such as space and cyber, both countries are well aware of the specifics of their respective national maritime interests. While this clarifies areas of agreement and disagreement, the enormous interests involved and the potential for the two powers to confound one another make the task of arriving at cooperative measures daunting. The Report of the Iraq Inquiry was published on Wednesday 6 July 2016. Sir John Chilcot's public statement can be read here. The Islamic State extended its bloody rampage with a suicide bombing in Baghdad on Sunday that killed more than 200 people, the deadliest attack on the city since the 2003 American-led invasion. On Monday, three smaller attacks on the Saudi Arabian cities of Jidda, Medina and Qatif were also linked to the terrorist group. The recent violence, including in Turkey and possibly in Bangladesh, may indicate some adjustment in the group’s tactics as its fortunes decline on the battlefields. The multipronged assault reflects the Islamic State’s growing desperation as it loses the territory it seized in Iraq and Syria. 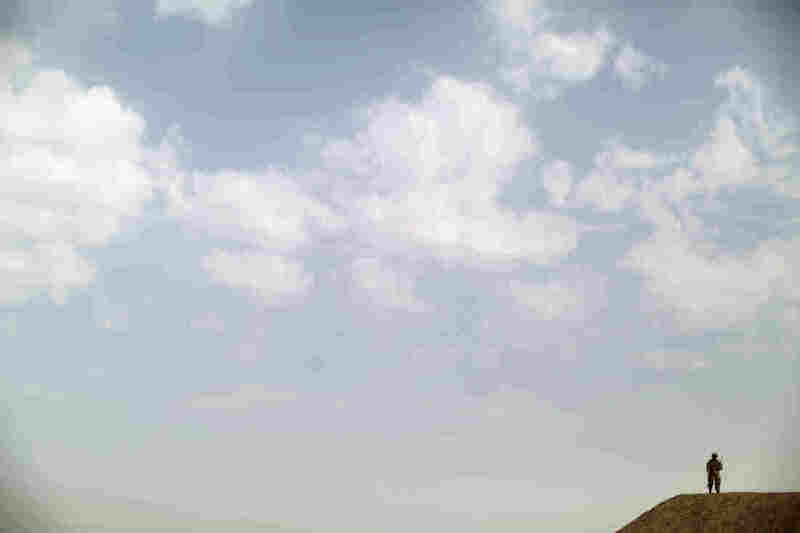 An American-led coalition has recaptured 20 percent of the ISIS-held land in Syria and 47 percent inIraq, including Falluja, which was taken back by Iraq’s beleaguered government last month. 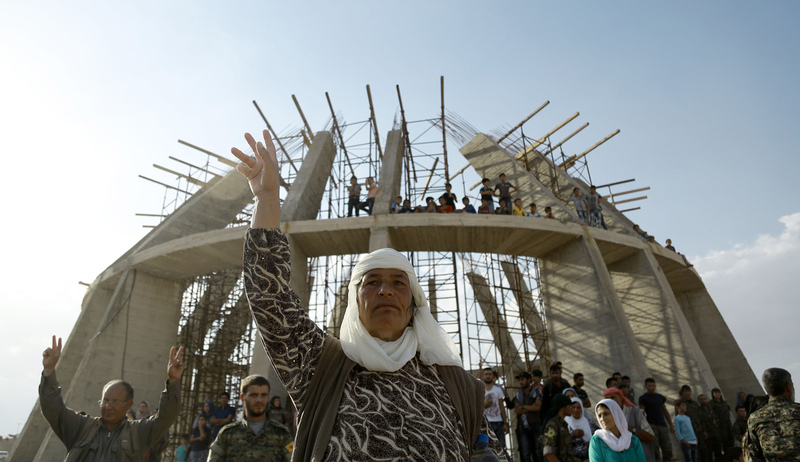 After the Baghdad attack, the government’s response was not encouraging. Prime Minister Haider al-Abadi announced plans to speed up the execution of ISIS members and some weak security measures. If Mr. Abadi cannot find ways to secure Baghdad, pressure may grow to move army units to the capital from the battlefield, where they are fighting ISIS. This would undercut plans by the American-led coalition, including the Iraqi Army, to intensify efforts to retake Mosul, a major city in the north that has been in ISIS’ hands for two years. Joseph Stalin supposedly claimed that “quantity has a quality all its own,” justifying a cannon-fodder mentality and immense casualties. The problem is, Stalin never actually said that, but it fits our stereotype about the Russian military so neatly that everyone believes he did. When it comes to war, Russia is commonly perceived as favoring quantity over quality and winning mainly by overwhelming its opponents with hordes of poorly trained soldiers. You can hardly find any account of Russia’s wars that does not use terms like “hordes,” “masses,” and even “Neolithic swarms.” Quantity, it is believed, made quality almost irrelevant. German generals propagated the myth of a Red Army comprised of faceless masses of troops, motivated only by NKVD rifles at their backs and winning only through sheer force of numbers. Many Western histories accept this view, and it is standard fare in Hollywood, notably in the 2001 Enemy at the Gates. The story was also standard fare during the Cold War, when the intelligence community frequently overestimated the quantitative side of Soviet capabilities while belittling its quality. True, some analysts argued for a more nuanced approach. For instance, Michael Handel in 1981 wrote that “To claim that the USSR is emphasizing quantity over quality in military equipment is to foster a dangerous misconception” [emphasis in the original]. We also know that the “missile gap” and “bomber gap” were artifacts of faulty intelligence analysis. Emerging and developing countries1will drive all growth in energy demand, while European and North American demand will decline. At this week’s NATO Summit in Warsaw, President Obama and the other 27 allied heads of state and government are expected to approve a number of measures to shore up NATO defenses along its eastern flank — what Secretary General Jens Stoltenberg calls the biggest reinforcement of collective defense since the end of the Cold War, anchored by a 3 percent growth in 2016 defense spending by the United States’ NATO allies. The anticipated headline achievement will be the deployment of four NATO battalions to Poland and the Baltic States; with three of those battalions provided by the UK, Germany, and Canada, this shows that Washington’s allies are doing more to share the burden within NATO. Since 2014, the Obama administration has spent approximately $1.8 billion on similar assurance efforts meant to comfort nervous allies and bolster NATO’s deterrence against Russia, with a further $3.4 billion in the pipeline for 2017. As a result of this investment, the downward trend in the size of U.S. forces in Europe has been reversed for the first time in a quarter century. The summit will likewise celebrate last year’s modest but hard-won reversal of NATO’s years-long downward trend in defense spending. Things are looking up. However, the real test will be sustaining this positive momentum in a Europe that faces not only threats from Russia but the centrifugal forces of Brexit, a persistent migration crisis, and an unresolved Eurozone debt challenge. Members of the European Parliament raise their hands as they take part in a voting session at the European Parliament in Strasbourg, on July 5. European Commission head Jean-Claude Juncker sharply criticised politicians Nigel Farage and Boris Johnson as the "sad heroes" of Brexit who backed out of leading Britain through the EU exit they had campaigned for. "Patriots don't resign when things get difficult, they stay," he added. After the shock of the news that the United Kingdom has voted to leave the European Union subsides, we can soberly analyze this new reality facing Europe. But while one can ruminate over the motives, beliefs or even the age of those who voted for Brexit, it won’t change the result: Britain is leaving the EU. So we'd do better to look at some of the lessons Brexit teaches Ukraine, as there's much to learn. First, some background. Serious discussion of the possibility of Britain leaving the EU first emerged after the 2008 economic crisis, which dealt a heavy blow to Europe. As analysts and scholars compose their first drafts of the history of the Obama administration’s foreign policy, a chapter will surely address what were once dubbed “rising powers,” a group that included Brazil, Russia, India, China, South Africa, and others. But the optimism of 2008 — when the so-called “BRICS” were ascendant, ready to reshape global economics and politics — has turned to doubt. The impeachment trial of Brazilian President Dilma Rousseff and a Russian doping scandal that only a Soviet could be proud of are just the latest unmistakable signs that a surge of newly powerful nations collectively remaking the world stage is hardly a sure thing. A few years ago, a mortal rupture in Europe would have invited crowing over “the demise of the West and the rise of the Rest.” Now, the picture is more complicated: Europe is in disarray, as are several of the might-have-been beneficiaries of the continent’s turmoil. And as the United States looks ahead to a new administration come January, its approach to shifting global power relations will be ripe for a rethink. Amounting to neither a freshly minted set of trusty democratic allies nor a cohesive counterweight to the Western order, newly powerful nations are proving to be less predictable, more fragmented, and ultimately more reinforcing of U.S. power than even Washington’s own intelligence establishment predicted a decade ago. A century ago this weekend, my great-grandfather – a corporal in the Liverpool-recruited King’s Regiment – was waiting to go “over-the-top” at the Somme. Sent to pick up the company rum ration before the assault, he wound up drinking it and woke up after the action – or at least, that’s the story he told the family after World War One was over. Perhaps his superiors were in an unusually forgiving mood. Or perhaps, like many others, he was just looking for a way to avoid retelling his experiences. By the end of the first day, the Allies had suffered almost 60,000 casualties for precious little ground. By the time the offensive was canceled later in the year, there were more than 800,000, over half of them fatalities. With the two world wars increasingly passing from living memory, it’s becoming easier to forget just how much they dominated the lives of almost every family on the continent. Quietly, though, that is changing. When NATO states meet in Warsaw at the end of the week for the annual heads of government meeting of the alliance, they will be doing so amid the most serious tensions with Moscow since 1989. For decades, the United Kingdom has had an ambivalent and sometimes contentious relationship with the European Union. London has kept its distance from Brussels' authority by negotiating opt-outs from some of the EU's central policies, including the common euro currency and the border-free Schengen area. Even still, the EU's faltering response to recent crises has fueled a renewed euroskepticism. Advocates for a British exit, or Brexit, from the union argued that by reclaiming its national sovereignty, the UK would be better able to manage immigration, free itself from onerous regulations, and spark more dynamic growth. After the victory of the Leave campaign in a June 2016 referendum on the UK's future in the bloc, the risks of separating from the EU became clearer. With financial markets in tumult and the resignation of Prime Minister David Cameron, the UK now faces the possibility of losing preferential access to its largest trading partner, the disruption of its large financial sector, a protracted period of political uncertainty, and the breakup of the UK itself. 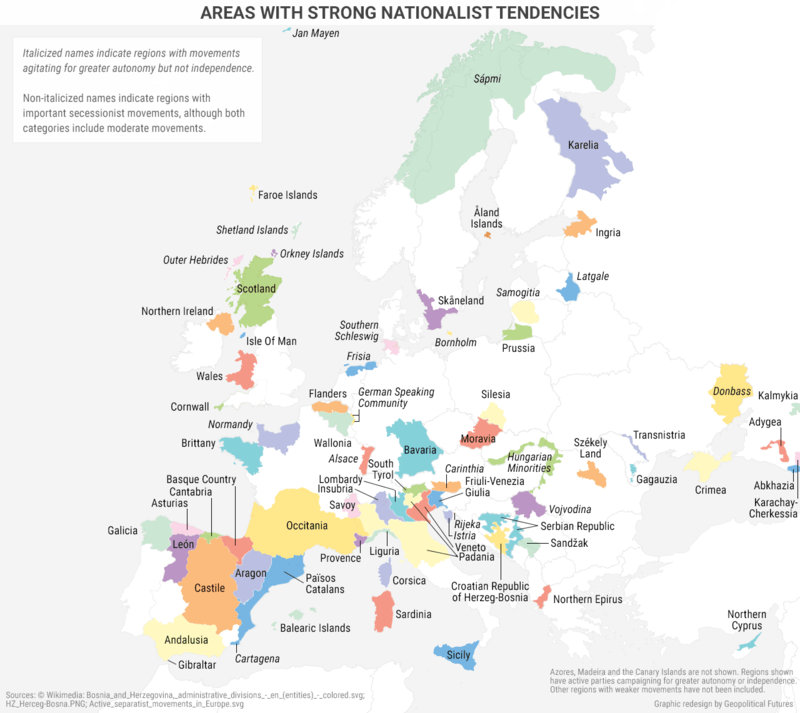 Meanwhile, Brexit could accelerate nationalist movements across the continent, from Scotland to Hungary, with unpredictable consequences for the European project. What is the history of the UK's membership in the EU? Urbanization is a key feature of Asia's development, as it was in Europe and North America in earlier times. But in Asia it is also very different, argues the Asian Development Bank (ADB). Asia's urbanization is much more rapid. Asia's transition from having 10% of its population living in urban areas to 50% (in 2025) will take only 95 years. This compares with 210 years in the case of Latin America, 150 years in Europe, and 105 years in North America. China made this urban transition in just 61 years. Overall, from 1980 to 2010, Asia added more than one billion people to its cities, with a further billion set to become city dwellers by 2040. Urban Asia has much higher population density. Eight of the world's most densely populated cities are in Asia -- Mumbai, Kolkata, Karachi, Shenzhen, Seoul, Taipei, Chennai, and Shanghai. Such high density makes their populations highly vulnerable to natural disasters. Asia also leads the world for megacities, cities with populations over 10 million. Eight of the world's ten biggest megacities are in Asia -- Tokyo, Shanghai, Jakarta, Seoul, Beijing, Guangzhou, Karachi, and Delhi (New York City and Mexico City are the only non-Asian cities in the top ten). And despite these mind-boggling statistics, we are little more than half way through Asia's potential urbanization process. About 46% of Asia's population are now urban-dwellers, compared with 89% for Australia and 93% for Japan. In other words, Asia's urbanization path still has a long way to go. A green urbanization for Asia? The most striking images are often those that take something we think we know well and turn it on its head. This map is one of those images. The borders of Europe have changed over time, but since national self-determination became the most important organizing principle for European states in the 19th century, there have been some relatively constant entities: France, the United Kingdom, Germany, Italy and Spain. We tend to think of these as coherent nation-states. But even these countries contain groups that don’t identify with their national identity as French, British, German, Italian or Spanish. We have said many times before, and will say many times again, that nationalism is rising throughout the world. And nowhere is that more apparent than in Europe. It is important to remember that this nationalism is not something caused by the British vote to leave the European Union last week. The rise of nationalism was already underway, and many of the political developments emerging from Europe in the past few weeks are direct manifestations of its resurgence.